Washington is undertaking a demonizing campaign against Russia right now, but in reality, it is less about Russia than it is about Donald Trump, says Joshua Landis from the Center for Middle East Studies. 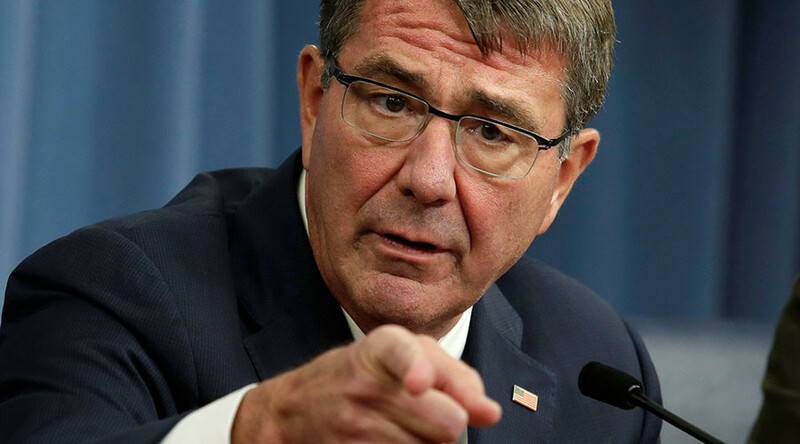 Interviewed by NBC on Sunday, US Secretary of Defense Ash Carter talked about a number of global issues, among them Russia's alleged hacking of the Democratic Party and the fight against terrorism. Carter attempted to suggest, against evidence to the contrary, that Russia has not been contributing to the fight against Islamic State in Syria. 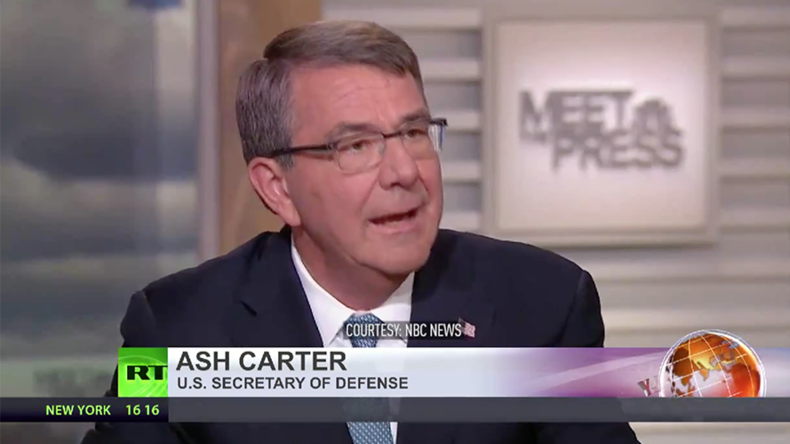 RT: Ash Carter clearly accused Russia of not pulling its weight in the fight against terrorism. What's your take on this? Joshua Landis: Of course he is spinning. The context of this is a big debate going on in America. Both Republicans and the Democrats are trying to hurt Trump by using this intelligence investigation into whether Russia has influenced the elections or not. This is another way to, in a sense, hurt Trump by undermining the notion that the Russians are not doing anything in Syria. Trump has said that he would work with the Russians. But the Russians have in fact bombed ISIS hundreds of times - in Palmyra, in al-Bab, Deir ez-Zor, and in Raqqa. The Russians have taken out long trails of tanker trucks, and so forth. This is a little bit of spinning. RT: That massive air campaign carried out by the Russians in Palmyra, as you mentioned, was quite a significant operation. Yet to the US it is ‘virtually zero.’ Why do you think Carter went to such an extreme in his description of that event? JL: Precisely because we’re in a campaign of demonizing Russia right now. Really it is not about Russia so much as it is about Trump. I think the Democrats and many Republicans - like [John] McCain - who’ve been very badly hurt by Trump, are sticking it to him. And they are sticking it to him because he has denied the intelligence communities and he’s been friendly with Russia, and this is a way to embarrass him. RT: Even to the extent of ignoring the peace deal that was brokered between Russia, Turkey, and Iran. To try and stop bringing peace to Syria, and help to separate in some ways those rogue elements among militant factions – that was ignored completely by the US, as well. That seems a bit peculiar, doesn’t it? JL: The US newspapers today are publishing stories about the research of a very good political scientist who’s demonstrated that 81 elections around the world since WWII the US has tried to interfere… whereas Russia and the Soviet Union have tried to interfere, I think, 36 times. So the US has actually interfered with foreign elections more than twice as much as Russia, and one has to be proud as an American. RT: During a recent State Department briefing, John Kirby said the failure in the Middle East was incredibly frustrating. Do you think this explains the hostile reaction toward Moscow from Washington? JL: America has been very confused about its Syria policy. We’ve just heard these long tapes of John Kerry, Secretary of State, explaining to Syrian activists that when Russia intervened in Syria in 2015, the US had been hoping that the growth of ISIS and its increasing spread toward Damascus would cause Assad to ‘cry uncle’ and make a political deal. Instead, the Russians intervened and saved Damascus from falling to ISIS. — RT (@RT_com) 9 января 2017 г.
RT: Carter also discussed Russia's alleged meddling in the US election. He said that the steps that have been taken so far probably represent “a beginning, not the end,” and it is up to the next Congress to take some steps. Is he speaking about some potential further sanctions against Moscow? JL: Once the inauguration takes place this particular conflict will die down. There will be many others because America is extremely divided today. Democrats are furious at the way that they’ve lost these elections, and they are furious at Trump, who they disliked intensely. I must say Trump has been very vicious in attacking Hillary Clinton, attacking Democrats, and dividing the US. There is tons of controversy. I think this is just a beginning and we’ll see many more before this is through. But I don’t suspect that President Trump will try to push this forward. On the other hand, we’ve seen a real demonization of Russia in the last several weeks. That is a bit worrying because even the Democrats who’ve usually been a little bit gentler toward Russia are now pushing the anti-Russia propaganda.